Cycling Plus is the manual for the modern road cyclist. Whether you're cycling weekly, an occasional new rider or a Tour de France fan you’ll find everything you need. Each issue is packed with buying advice and tests of essential cycling gear - everything from bikes to bags! 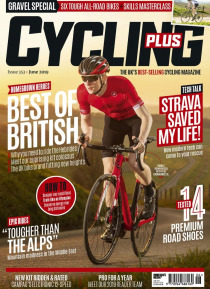 Cycling Plus is the place to find training advice, nutrition secrets and practical tips guaranteed to improve your bicycl… ing. It's also full of inspirational rides, real-life cycling stories and entertaining riding-related features.